To the dear memory of our darling daughter. 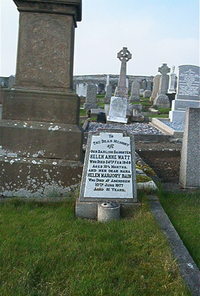 Helen Anne Watt died 24th February 1949 in infancy. Grandmother Helen Marjory Bain died at Aberdeen 10th June 1977 aged 81.